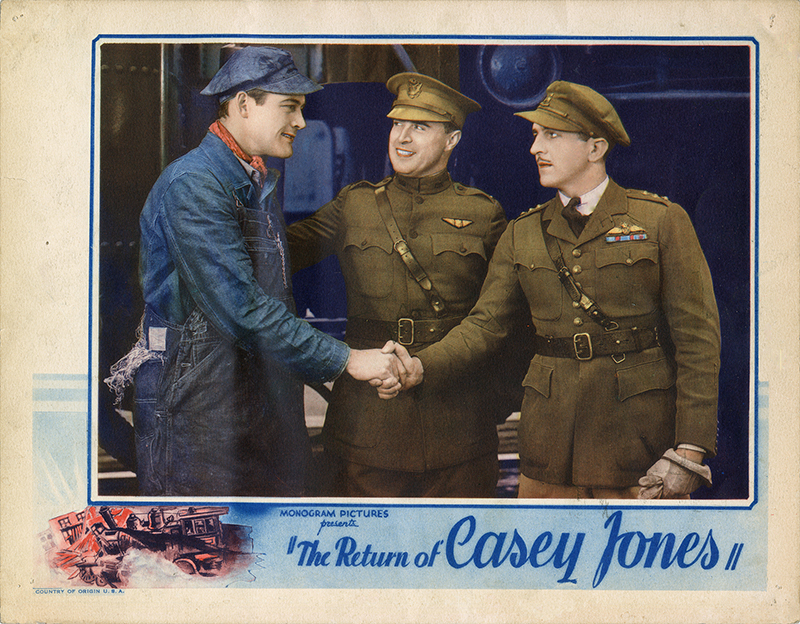 SCVHistory.com LW3320 | Trem Carr Ranch | Lobby Card: 'The Return of Casey Jones,' Monogram 1933. "The Return of Casey Jones"
Robert Elliott ("The Maltese Falcon," "Gone With the Wind") is the title character in John P. McCarthy's screen adaptation of author John John's "The Return of Casey Jones" from Monogram Pictures, starring Charles Starrett, Ruth Hall and George "Gabby" Hayes. We don't know all of the filming locations, but the fact that Ernie Hickson was the technical director tells us it was shot at least in part at Trem Carr's movie ranch in Placerita Canyon, just east of today's 14 Freeway where Disney's Golden Oak Ranch would later be located. From 1931 to 1936, Carr leased the Placerita Canyon property and Hickson dressed the sets and provided the props for Monogram Pictures Corp., which Carr (as vice president for production) and W. Ray Johnston (president) organized in 1931 out of their previous venture, Syndicate Pictures, which also filmed in Placerita Canyon. 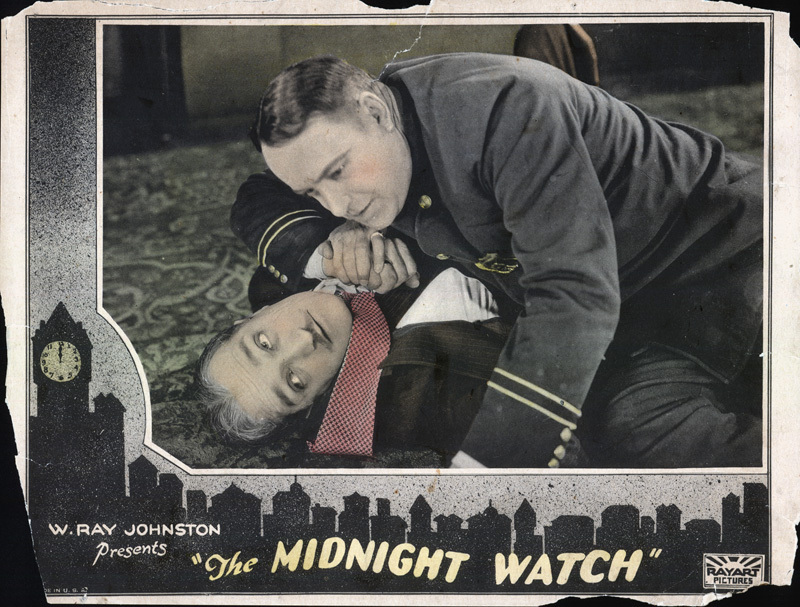 Released in theaters May 25, 1933, "The Return of Casey Jones" also features Margaret Seddon, Jackie Searl, George Walsh and Gordon De Main. Uncredted cast members are Bobby Burns, Jack Evans, Jack Holmes, Anne Howard, John Ince, Theodore Lorch, George Morrell, George Nash and Edward Peil Sr.
LW3320: 9600 dpi jpeg from original photograph purchased 2018 by Leon Worden.